The Tournament Handicaps have been freshly minted and have survived the customary rigorous, double-blind, randomised in- bottle fermented procedure. They are set out on the Billiard Room notice-board. In due course, which may be a little while yet, I will also print out and exhibit the matches, but all members of each group will play all other members of the same group. On conclusion of the Group matches the top two in each Group will go through to the next round. Where two players have equal points progress is determined by the result of the Group match between them. If three or more players have equal points progress is determined by handicap, I.e., -20 beats – 18. Winner of Group A plays runner- up Group B, winner Group B plays runner- up Group A. Likewise Groups C and D. I will place a diagram on the notice-board. After Group stage all matches are knockout. All matches one frame, final best of three frames. Matches take precedence over any other use of the table and may be played at any time by arrangement with Greg and Tina. 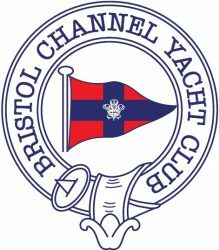 The Champion will be presented with the BCYC Snooker Trophy by the Commodore (unless he wins it !!) at the Christmas Snooker Dinner at the Club on Wednesday 19th December 2018. Group A. Simon Jenkins, Lyndon Williams, Andrew Edwards, Alyson Nicholson, Eiddon Davies. Group B. Martyn Jones, Alan Bevan, Jeremy Clayton, Simon Brooks, Bob Wigley. Group C. (The group of Death). Dexter Ford, Lawrence Griffiths, John Morse, Jeff Evans, Paul Nicholson. Group D. Mark Jenkins, Greg Morgan, Peter Harrison, David Thomas (Champion).